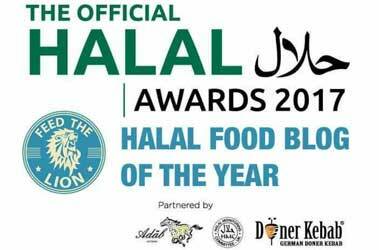 Feed the Lion (FtL) is the UK’s premier, award-winning Halal food news site, and dedicated towards objectively and impartially presenting the very best that the global Halal food industry has to offer. Driven by a love and passion for all things Halal, our aim is to scope out what’s hot and trending across the culinary world, and presenting relevant news and engaging reviews. 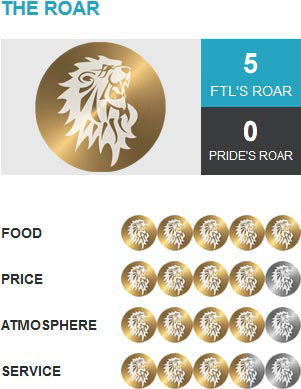 Our reviews are judged by our coveted rating system: The Roar. But, what makes FtL so unique and distinguished from all other Halal food reviewers, is that we always conduct our reviews with no less than three people! This approach, coupled with a properly defined and rigorous review criteria, ensures that the conclusions we reach are fair, balanced, and as thoroughly debated as possible. FOOD – This, of course, comprises the lion’s share of the review wherein we adjudge the grub by things like authenticity, freshness, and presentation, among other important things. PRICE – This is determined by not just the location and type of place being reviewed, but also the latest stats and figures on consumer spending habits. ATMOSPHERE – Not just restricted to decor and ambience, but also includes cleanliness, hygiene, and other various factors. SERVICE – Here we look at efficiency and friendliness, and a few other things here and there. And don’t think that this is easy work either; it’s not all about masticating, chewing, gesticulating and swallowing, you know! In the end, FtL’s end goal in all that we do is to contribute in some small way towards helping and encouraging the Halal culinary industry to raise its standards towards perfection. To this end, we also want to hear from you. So feel free to share your thoughts and experiences with us and the rest of The Pride; and, if you have any food places you believe we ought to try, or have some important news tips, then be sure to let us know. Be candid, be brutal, be honest! If you want to contribute to the country’s premier Halal food news website, contact FtL’s Editor, Hamza A. Bajwa, now!